Dear crypto-enthusiasts, it’s time to admit it: all the current and potential qualities of DLT (Distributed Ledger Technology, of which Blockchain is the most famous exponent) have emerged, along with its glaring flaws, which are certainly many. Every famous blockchain is trying to solve them in their own way. In this scenario, a new startup called block.one (based in the Cayman Islands, with contributors scattered throughout the world), is trying to provide its own answer to the problems that have emerged in the DLT technology. The solution put forth by block.one is rather “unconventional”, in the sense that, to date, we have always talked about projects with their own blockchain, but for EOS these considerations are no longer valid. First of all, it is curious that EOS wants to compete with Ethereum despite having issued its tokens under the ERC20 standard and therefore on the ETH blockchain. The ICO lasted 341 days and ended on 1 June 2018. Since then, it has been impossible to transfer the tokens from address to address on the Ethereum Wallet: the purchased EOS tokens, in fact, can only be transferred on an EOS Platform, which has been released by block.one at the end of the development phase and which very much looks like a real operating system that anyone can run on its own blockchain. Why do we talk about EOS Platform as an operating system? Because decentralized applications, DApps, that can be performed within such platform, as well as the bandwidths, amount of storage and power available depend on the number of EOS tokens that are “staked”, i.e., “inserted in the smart contract” deputed to make the decentralized application work. Think, by way of example, of what happens with Cryptokitties. As already happens on Ethereum, therefore, those who can buy more tokens will certainly have more benefits. One of the most interesting features is perhaps the presence of a consensus algorithm that differs from those adopted by Ethereum, Litecoin and Bitcoin. EOS relies on the so-called Delegated Proof of Stake. The operation is as follows: each member of the community of each EOS Platform will be able to elect 21 candidates. The weight of each user will be determined by the quantity of EOS in his/her possession. The 21 people that are elected will have the task to validate the blocks and let the DApp run or not. Of course, if any of these 21 individuals behave badly, the community can revoke their vote and make the person in question void. The incentive to be elected is linked to the fact that, each year, the number of EOS tokens in circulation will increase by 5% and this 5% extra tokens will be distributed among these 21 individuals, who will, therefore, be the only ones to receive rewards, always under the hypothesis that they do not lose their position in the meantime. Such a small number of delegates is a good solution, especially in the case that some important DApp should have critical bugs: it can be immediately blocked and put on hold, while the developers try to solve the problem. One must not forget that EOS wants to be a democratic system and avoid problems like those of The DAO, that led to a big rift in its blockchain and even to a fork. In fact, there is a real constitution, whose hash will be incorporated in every transaction. This constitution is to be understood in the literal sense of the term, as it will establish the rules and the netiquette of EOS. It can only be approved with the consent of 17 out of the 21 elected representatives, keeping in mind that users can always veto the votes expressed by any representative attempting to approve unwanted changes in the system. Furthermore, block.one says that the EOS Platform is free of transaction fees and that they can scale up to a million transactions per second, where Ethereum only reaches 20 tx/s and Visa processes about 140 thousand tx/s. Many argue that the first killer app for cryptocurrencies is going to be in the gaming industry, and EOS seems to have all the right characteristics to reign in such field of application. In fact, block.one has detailed its intentions to launch a blockchain-based gaming fund with a total budget of around $15 million. One great example of an all-Italian EOS-based videogame is HIDDEN FIGHTERS, the first one ever allowing players to compete with unique avatars, while earning tokens through the sale of their equipment and through the completion of game missions, and exploiting the augmented reality technology, thanks to which the players will be able to reach bonus areas and win additional prizes. EOS is leading the whole crypto market with regards to the number of transactions in the last 24hrs, showing off a whopping 6.5 million transactions, only followed by Tron with 1.7 million. Everyone else is miles behind, and Ethereum itself had only half a million transactions in the last 24 hours. EOS is clearly designed with speed and volume in mind, being it a version of delegated proof of stake that consciously makes trade-offs on expense of decentralization to the benefit of scalability. Moreover, the brand reputation and marketing efforts made by block.one are outstanding, aiming at showing to the whole community of tech enthusiasts that it is possible to decentralize the whole Internet as they know it, and strongly focusing on content creation and its delivery to that same, growing community. To do so, the team is also forging key partnerships and making key acquisitions. Anyway, it is evident that building a blockchain service for one specific purpose is no longer a desired option. Gaming is just one of the many applications that we will be looking at. The developers working on EOS are aligned on a multi-pronged approach, in order to support many services, platforms, DApps and various other tools. 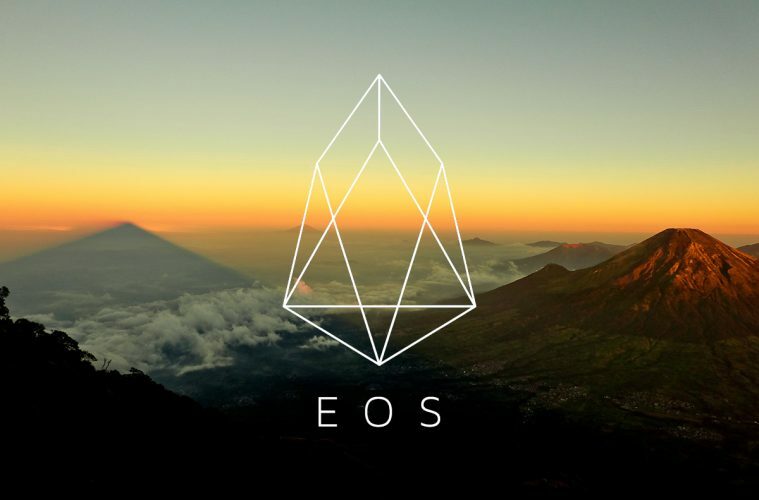 Thus, extending its use cases from cloud storage and authentication services to account management, EOS is not limited to one specific feature; instead, each new feature is just one more step towards mainstream traction of EOS.